Designed around providing a convenient surfing experience, Opera Touch comes with a one-handed mode. Reminiscent of the old Pie control days, Touch brings quick access to the Speed Dial, bookmarks, the back and reload/kill page buttons, and your open tabs. When the browser launches, it's instantly ready for a quick search or URL. The Speed Dial, the top arc of suggested sites, will learn from your browsing habits and adjust itself accordingly. This being an Opera product, an ad blocker and cryptojacking shield come standard, though they are disabled by default. 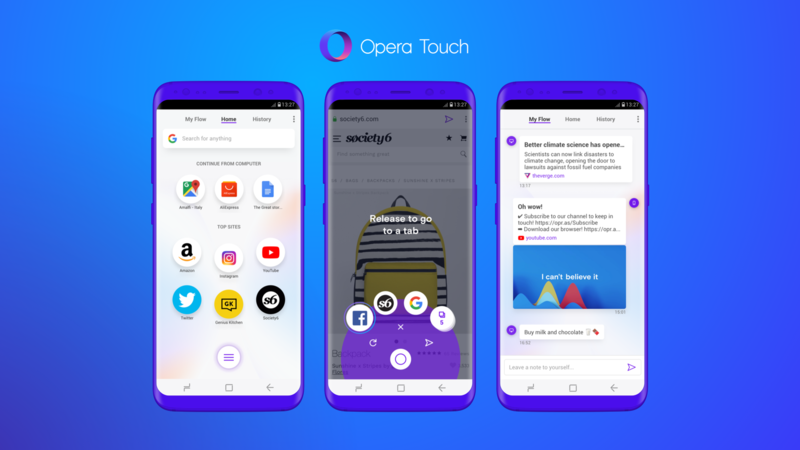 Alongside Touch, Opera is also announcing a new version of the desktop browser that integrates seamlessly with its mobile counterpart. Not only do tabs sync, but thanks to what Opera calls Flow, you can send yourself images, files, and links for later. It's even got end-to-end encryption. 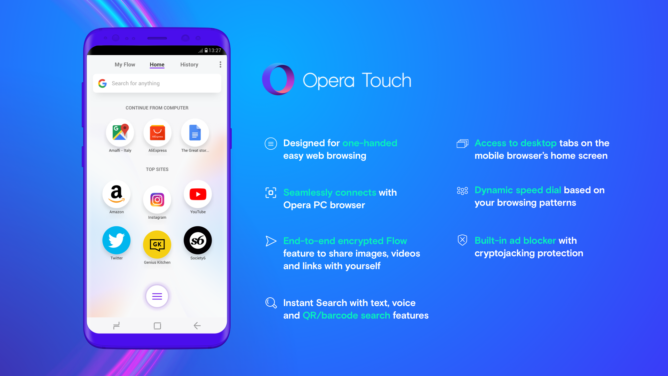 You can grab the new Opera Touch from the widget below.